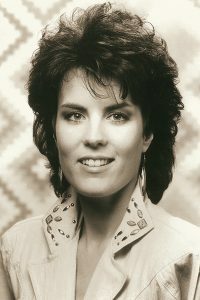 Holly Dunn in 1987 at the height of her country music recording career with MTM Records. Singer-songwriter Holly Suzette Dunn (’79), the only Abilene Christian University graduate to be a member of the Grand Ole Opry, died Nov. 14, 2016, in Albuquerque, N.M., following a short battle with cancer. She was 59. Funeral arrangements are pending. Dunn was born Aug. 22, 1957, in San Antonio. An ACU Sing Song hostess in 1979 and member of the Hilltoppers musical troupe, she earned a B.A. degree in mass communications. She was a member of Sigma Theta Chi women’s social club, the Choral Society, and a staffer on The Optimist newspaper and KACU campus radio station. She was a member of the Opry from 1989-99, and one of the most popular artists in country music after getting her Nashville career started as a songwriter with her brother, award-winning writer-producer Chris Waters Dunn (’73). Daddy’s Hands, the 1986 song she wrote and recorded, was one of 10 Top 20 and eight Top 10 hits – two reached No. 1 – and helped her winning three Grammy nominations. She earned the Academy of Country Music’s Best New Female Vocalist award in 1986 and the Country Music Association’s Horizons Award in 1987. She received BMI’s Songwriter of the Year award in 1989 and helped host TNN’s Opry Backstage show for two years. In all, Dunn recorded 10 albums and hit songs with Kenny Rogers, Michael Martin Murphey, Dolly Parton and Emmylou Harris. She toured during her career with Merle Haggard, George Strait, The Judds, Randy Travis, and the Oak Ridge Boys. 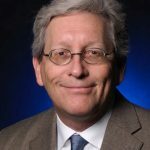 Dunn was a country music radio show co-host on WWWW-FM in Detroit, Mich., in 1997 before retiring from the music business fully in 2003 to begin an art career in Santa Fe, N.M., where she was named public relations coordinator for the Georgia O’Keefe Museum in 2008 and later became co-owner of Pena-Dunn Gallery with artist Armado Pena. She opened Art Song Gallery in Salado, Texas, in 2004, featuring the work of artists with ties to Texas. She was preceded in death by her parents, Frank Dunn (’40) and Yvonne Wiggins. Among survivors are her brothers Jerry Dunn (’68), Rodney Dunn (’72), and Chris Waters Dunn. Heaven’s choir is richer for sure! Blessings on the family!